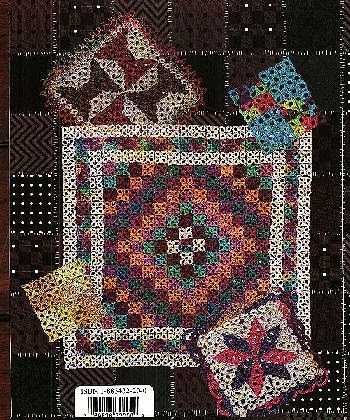 Tatted Quilt Squares Published by Handy Hands available now! 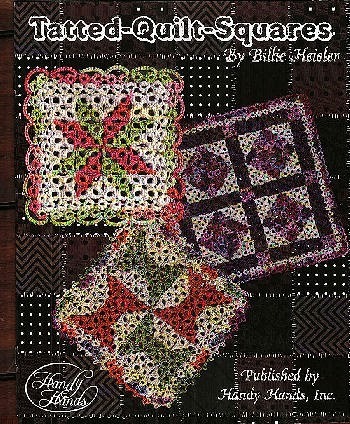 This is the cover of Handy Hands version of my Tatting Old Fashioned Mini Quilts Pattern. Granted you don't get the extra directions I had in the original and Barb had me redo the charts by rows since she feels it's easier for needle tatters to follow them that way but the thin book is gorgeous. The glossy pages and large full color charts make it easy to start wherever you want. Below is the back of the book. One suggestion is to add a border around the 4patch piece. It looks unfinished now that I see it printed. 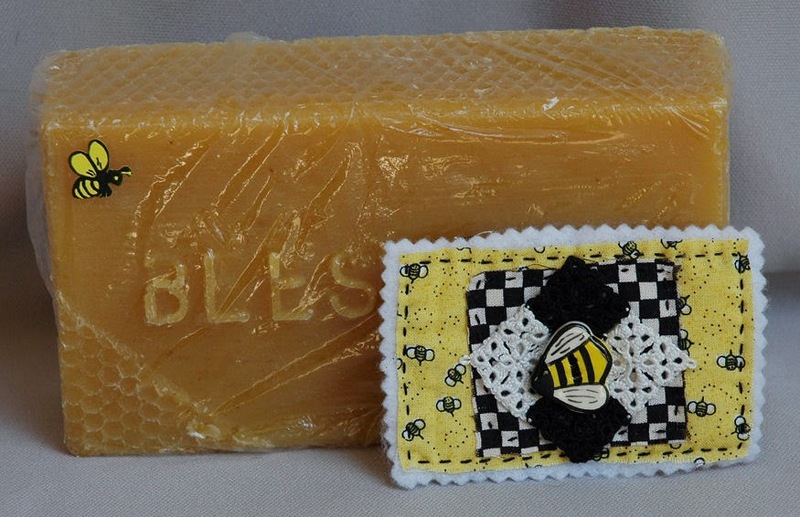 When I made the original I used just black and white threads; sewed it to the checked fabric; then to yellow, black and white bee print fabric: and finally to white felt to make a small trading card. Being sewn to fabric I didn't think it needed a border. Here's a photo so you can see what I did. 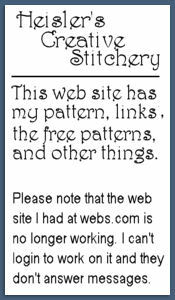 Here's a photo of the original pattern in case you never saw it. I have to admit the new samples made with Lizbeth thread are much more eyecatching. The new Lizbeth version of Trip Around the World is soooo much better. With this photo you can get ideas of what to do with the finished pieces. Small pieces were made into jewelry and a tag. 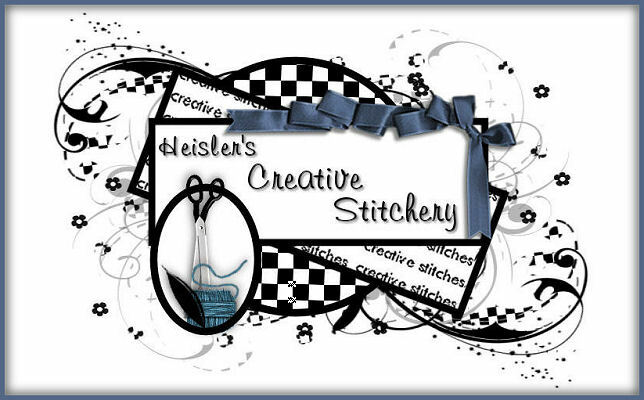 The teal spinning spools is glued to a card blank while the single square in square is glued to a paper bag. 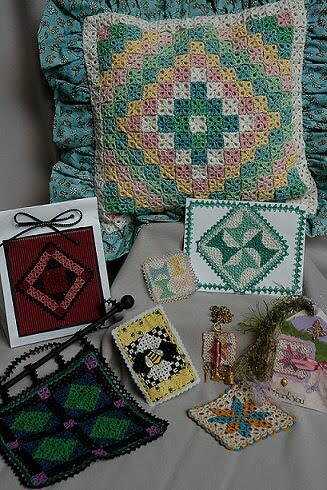 Look for the Fall and Winter tatting Patterns at my etsy store and at patternmart. Due to a severe shoulder injury I haven't finished the spring pattern. I only had 1 pattern to finish. The directions were done except for that pattern but now I'n in too much pain to tat for very long. Hopefully my doctor will have me back to tatting soon.